Heading outdoors? 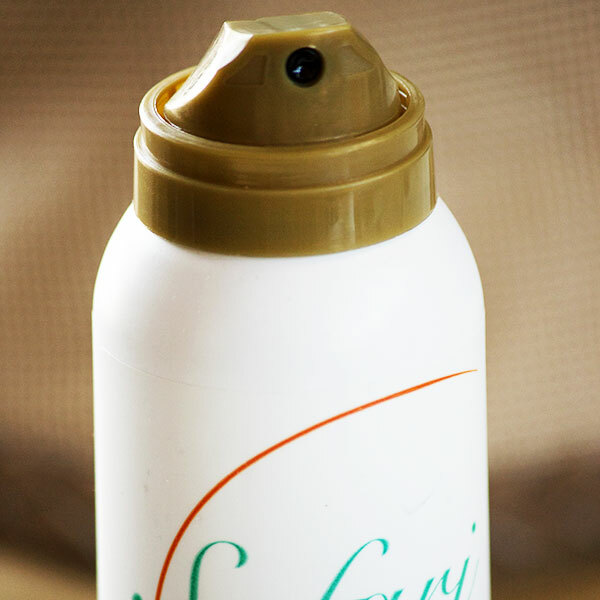 Find out why you should never leave home without a bottle of SafariSUN™. Skin is the body's biggest organ and we need to do whatever we can to protect it. Your skin is vulnerable to the sun's harmful rays and protection against these rays is essential to skin cancer prevention. According to The Skin Cancer Foundation, about 90 percent of non-melanoma skin cancers and about 86 percent of melanomas are associated with exposure to UV radiation from the sun. With statistics like these, we wanted to create a sunscreen to keep us protected on safari and during all of our outdoor pursuits. We are obsessed with only offering you the best possible products to pack for your safari, beach holiday, weekend away, adventure into the great unknown, or even a day at the pool at home. Such is the level of our obsession that we have developed our very own sunscreen with a group of reputable scientists in South Africa. Our aim for SafariSUN™ was simple: by partnering with some of the top sunscreen manufacturers, we wanted to create a high-end sunscreen made from superior ingredients that would be in a league of its own! The SPF15 is a medium-protection sunscreen which is ideal when exposure to direct sun is limited. The SPF30 is a high-protection sunscreen which is ideal for travel and outdoor activities. The SPF50 offers extremely high protection from the sun and is recommended for pale or sensitive skin types. The SafariSUN™ range is a high-performance UVA and UVB suncreen that is packed with benefits and features. SUPERIOR FORMULA: The African sun demands a special kind of protection. 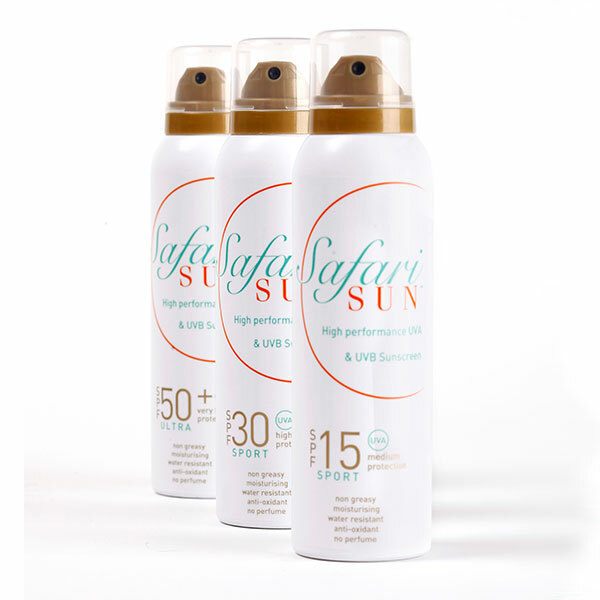 Specially-developed with safari requirements in mind, the exceptional performance offered by the superior formula of SafariSUN™ translates into protection you will feel through daily use on your travels and during all outdoor hobbies, sports, and recreational activities. Suitable for all ages, this pharmaceutical-grade sunscreen offers extremely high protection against UVA and UVB light with a non-greasy texture for easy wearing. WATER-RESISTANT: The unique formulation of SafariSUN™ makes it water-resistant. With the realities of heat, exertion and perspiration, and water sports taken into consideration, SafariSUN™ is effective across a range of activities. DNA REPAIR AND MOISTURISING: Be happy in your own skin. SafariSUN™ has earned the UVA compliance mark and contains DNA repair ingredients to combat UV damage and moisturise the skin. Whether relaxing on the deck in an exotic location or being active during sports, this high-end sunscreen is designed to feel luxurious and nurturing on your skin and offer long-lasting, effective protection from the sun. SPRAY NOZZLE: No more fussing about with globular creams and pesky pump bottles. 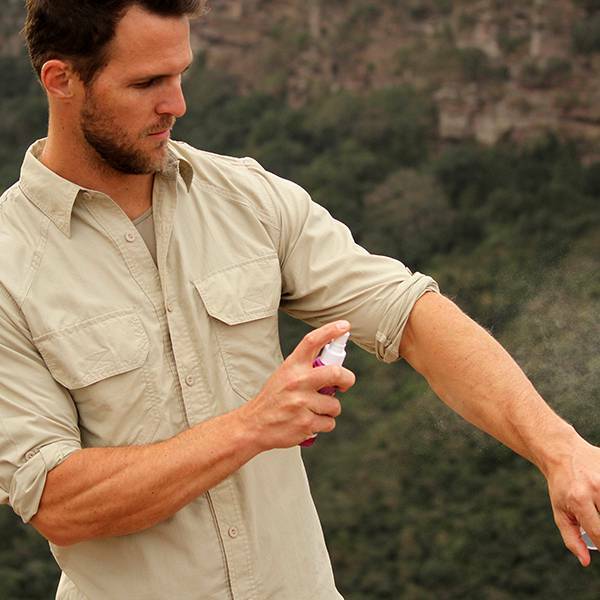 SafariSun™ sunscreen comes in a spray bottle for quick, even, easy application - even when you're on the move. The TravelLock unique seal on the actuator prevents leaking when you travel for added convenience. 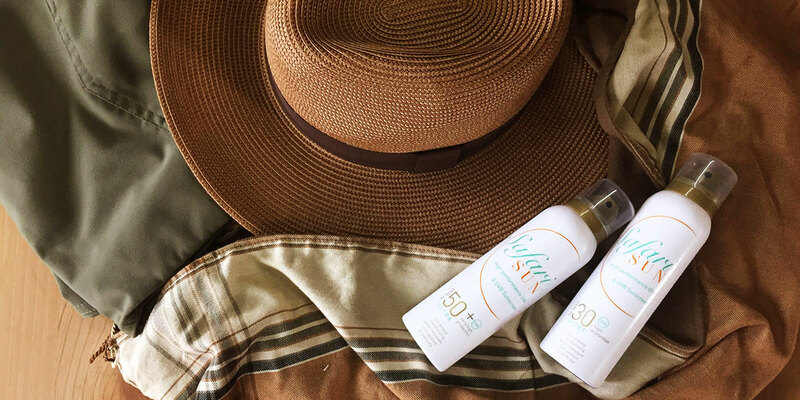 The premium sun care offered by SafariSUN™ is a travel and everyday essential. Whether heading out into the harsh African sun on safari or facing the hidden rays outside your front door every day, a good sunscreen is vital to your skincare routine. Designed for safari, travel, and sport, SafariSUN™ is protection you can take anywhere. When the outdoors beckon, get moisture on the go. Africa and many warm-weather destinations can be very dry and this, in turn, has an effect on your skin. SafariSUN™ has a moisturising formula to keep your skin feeling soft and looking great no matter where your adventures take you. Look as good as you feel. Feel as good as you look. 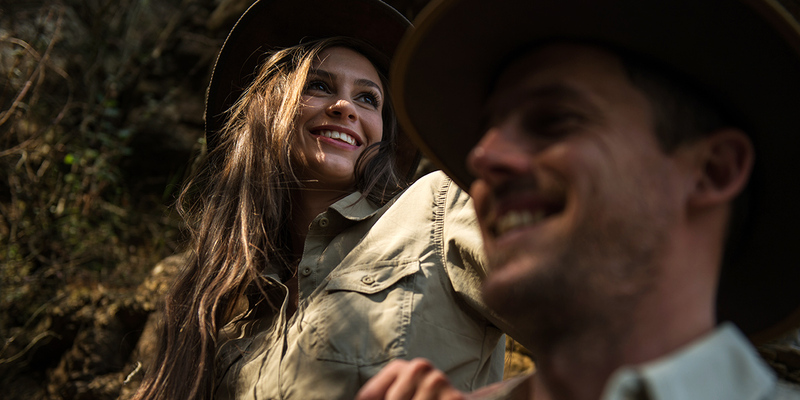 Use SafariSUN™ sunscreen and add a wide-brimmed hat and a long-sleeved MaraTech™ or BUGTech™ shirt with roll-up sleeves, moisture-wicking, and built-in SPF for the ultimate sun protection on safari and outdoors. We sweat so you don't have to. Expedition-testing products is central to everything we do. We expedition-test our products rather than hide behind large marketing campaigns which claim too much and deliver too little. The testing and re-testing and re-sampling is ongoing at The Safari Store. It is a part of our DNA. Where products do not meet the high standards we set for our safari clothing and gear, we either design, re-make, and re-test the products until we get them right or we scrap them altogether. Claire took SafariSUN™ on her recce in Kafue and used every bottle. "I love SafariSun™. It gives your skin a lovely glow and there's no sticky cream to deal with. With hot sun reflecting off the water, it was really put through its paces. I didn't suffer with one day of sunburn during this trip to Zambia and left with a wonderful tan and healthy-feeling skin." Chanelle tested SafariSUN™ on the beaches of Tofo, Mozambique. "We used SafariSUN™ on our trip to Mozambique. We were concerned that the scorching sun in Tofo was going to leave us wrapped up in our towels, but using this sunscreen, we were out and about, loving every moment on the beach. Instead of being red and in pain, we were tanned and ready for our next adventure." It is important to apply sunscreen even if it is overcast as you are still at risk of getting sunburnt. Steve tested SafariSUN™ while sailing on the Zambezi river: "With the hot, dry August winds and lack of cloud cover, the expedition was the ideal test-bed for SafariSun™. We already knew that it worked incredibly well as, once again, we had tried it locally before the expedition, but we were amazed that, with the SPF50+ on, it worked so well that we struggled to even go brown, let alone get close to an expedition-ending sunburn - and so we decided on the SPF30 as our preferred expedition sunscreen to ensure that we remained safe under the sun, but still had some expedition credibility at the end by not arriving pasty and white, but with a decent tan. It is quite simply remarkable sunscreen." Tania had SafariSUN™ with her at all times on her trip to the Kgalagadi Transfrontier Park. This arid area has extremely hot days and below zero temperatures in the evenings. 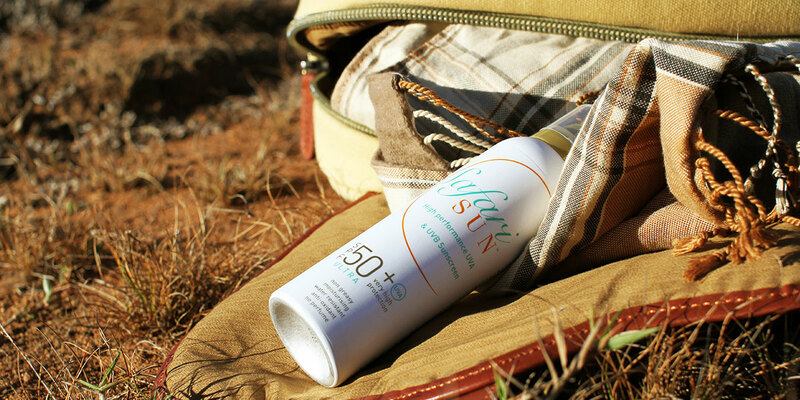 "We spent a lot of time soaking up the Kalahari sun and SafariSUN™ kept me burn-free. I loved the coolness of the spray on my skin and went home with a healthy sun-kissed glow."